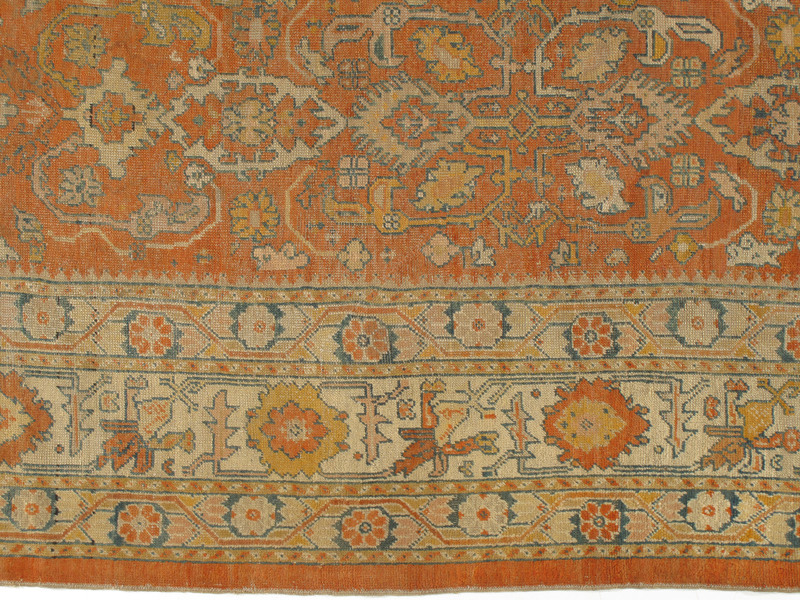 The large decorative carpets from Oushak in Western Turkey in the c. 1900 period are famous, and rightly so, for their mellow, but unusual, tonalities and their creative use of traditional designs adapted from Persian sources. 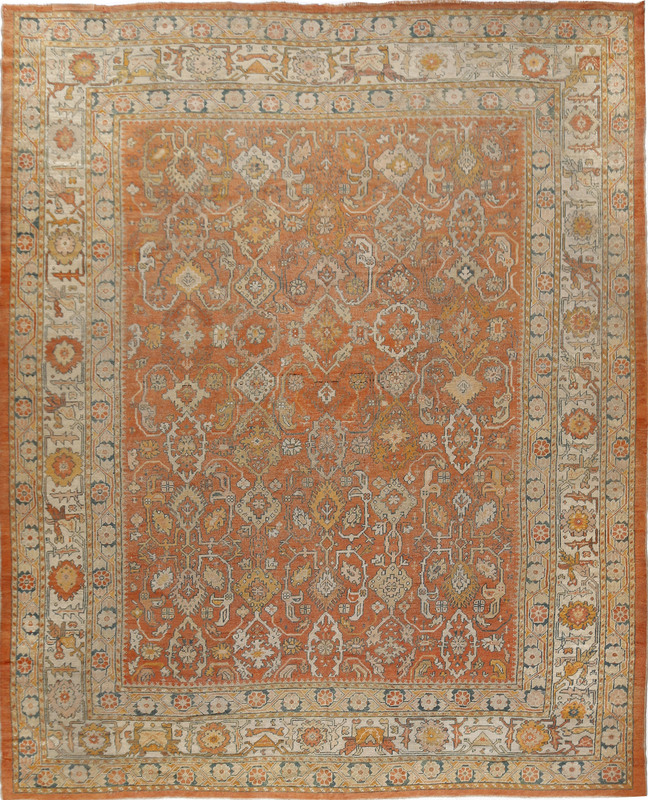 This particularly attractive example displays on a persimmon red ground a well-rendered version of the “Avshan” pattern of various rosettes and “gooseneck” short split arabesques. 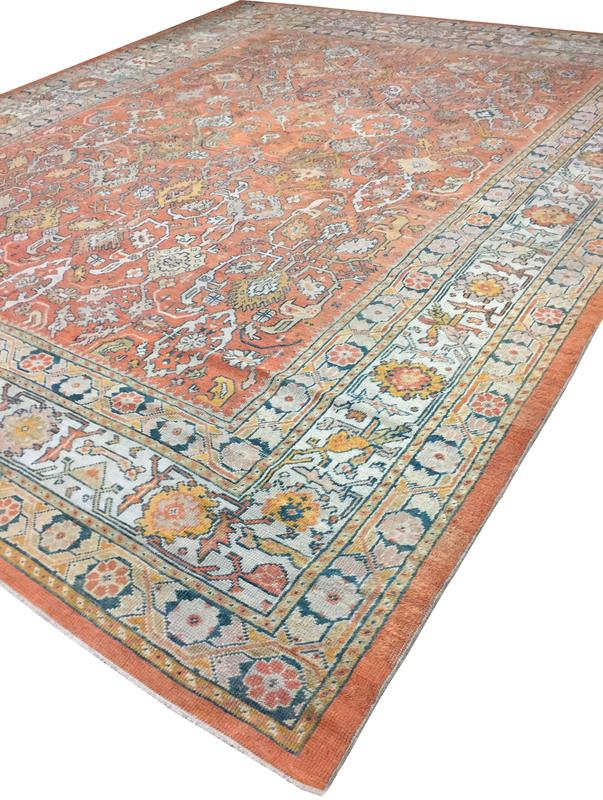 Ivory, pale orange, pistachio and straw are the accent colors. 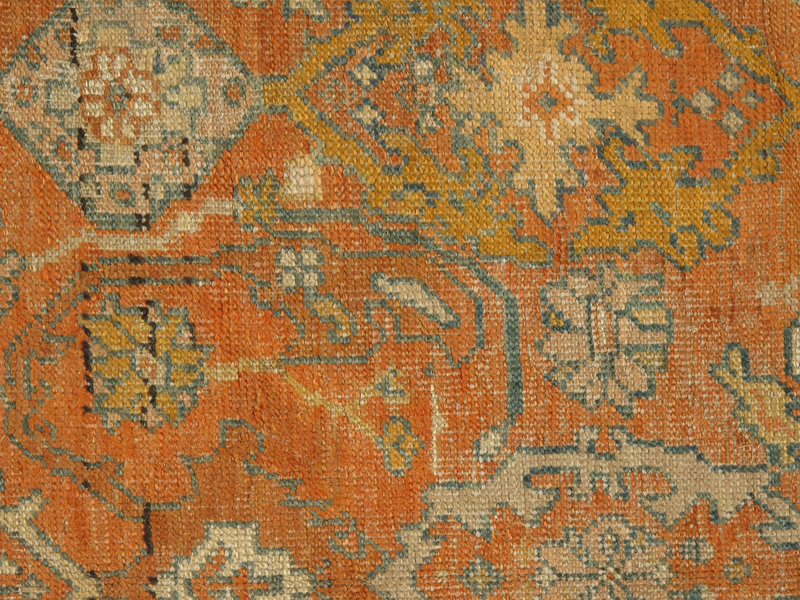 The main border is equally Persian in origin: the ivory ground stripe of rosettes and diagonal side-viewed irises is the “Zanbaki” pattern familiar on Heriz and various Kurdish weaves. 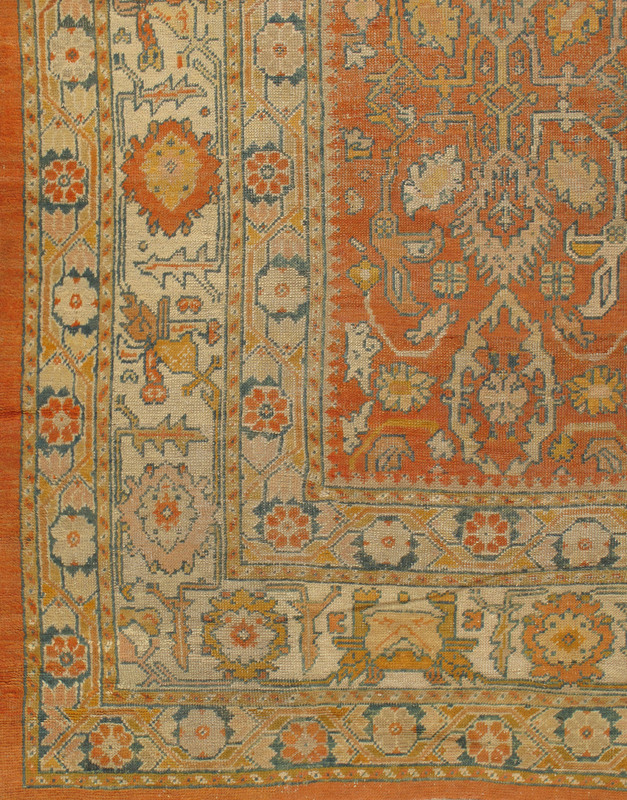 This carpet, obviously well-executed, is probably the work of the British company Oriental Carpet Manufacturers, known for imaginative designs and high technical standards. The color is restrained without being chromatically weak; the design is elegant and rational, but not rigid or repetitious. 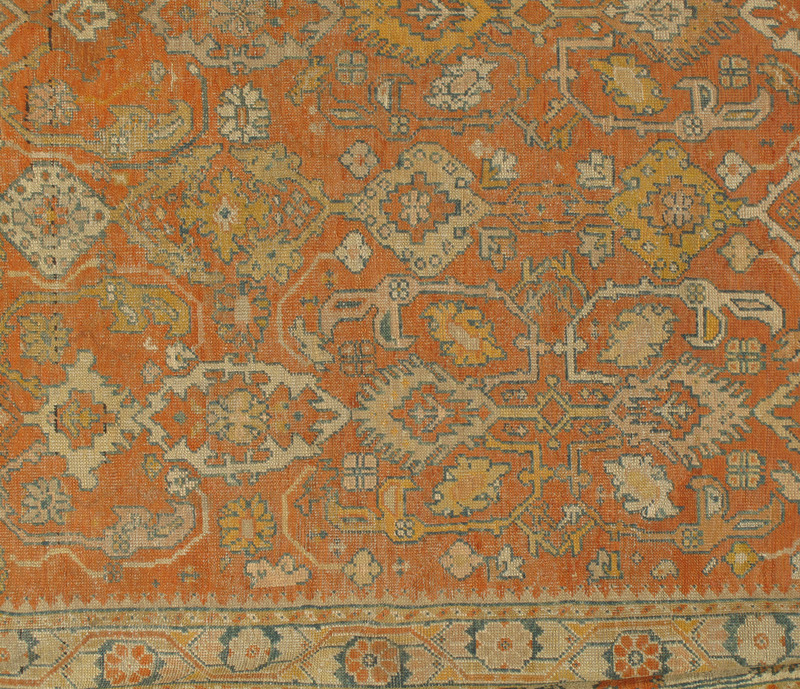 In short, the carpet is highly appealing both as an item of pure decoration and as a clever representative of design reuse and cross-cultural interpretation. The overall look is slightly distressed, but totally charming, and the carpet is now in sound condition.